You’ve undoubtedly heard these two terms before. But what do they really mean, especially abundance? Look no further than the book Abundance: The Future Is Better Than You Think by Peter Diamandis and Steven Kotler. Written in 2012 (prior to their best seller Bold), Abundance examines the changing world and cites some remarkable statistics, statistics that show vast improvement in the plight of humanity. We are living in a time greater than any other – in terms of both technological advancement and the ability to pursue countless opportunities. How far have things truly progressed though? The authors throw some stats at you right away. Infant mortality has decreased by 90%. Maternal mortality has decreased by 99%. Human life span has increased by 100%. Cost of food has decreased 10x. Cost of energy has decreased 20x. Cost of transportation has decreased 100x. You might be asking what this has to do with you and your life. Your mind is pre-conditioned to think the resources around you are scarce. Hence, what we mean when we say scarcity mentality. For the greater part of humanity, it was of your benefit to think in scarce terms, as this truly was the case. Early humans had access to very limited resources. Societies formed and grew slowly, and it was only recently that most came to possess the means to serve and care for everyone. Traditionally, life was brutally hard. People suffered. Violence was commonplace. However, the technological advances of the last 100 years changed all that. Every day, computers get more powerful. Innovations never thought possible begin to emerge. The world is changing at a frantic pace, and everything you’ve come to know will be improved beyond all imagination in your lifetime. Never before has so much been so easy to achieve. At its core, an abundant mindset means believing that anything is possible, both for society and for you. It’s when you crush limiting beliefs and the resistance that holds you back from taking chances. It’s when you embrace BOLD THOUGHTS. Instead of hustling to survive (as so many have done since the dawn of civilization), time can now be spent creating and building. Technology has automated much of life, saving time and unnecessary effort when it comes to tedious daily tasks. Now more than ever, you have an abundance of time to commit to a hobby or hustle. There are simply no excuses not to get it done. You learn by doing, and never has the actual doing been more readily available. Only your beliefs and lack of confidence hold you back. As humans, we have a long list of cognitive biases that serve to hold us back from an abundance mindset. A Cognitive bias is defined as a “common tendency to acquire and process information by filtering it through one’s own likes, dislikes, and experiences.” A lot of these biases allow you to conserve mental energy and allow your brain to focus on more important tasks such as critical thinking and deep work. However, some serve you negatively; stroking the fire of fear and helping you rationalize faulty decision-making. Abundance mentions three specific biases that violate the viewpoint; the negativity bias, anchoring, and confirmation bias. The negativity bias is the tendency to give more weight to negative information and not positive information. This isn’t surprising, as the brain is pessimistic by design (blame your primitive roots). Anchoring is when you over-rely on a piece of information (failing to see the whole picture) when making decisions. Humans also crave control. This leads to overconfidence in one’s beliefs and actions, which is why you tend to be surprised when you are completely off on something. When an action or experience falls within your comfort zone, feelings of positivity are reinforced. However, when you think or act on something unfamiliar, you are left with an uneasy feeling, sometimes too nervous to even attempt. This is why most people don’t usually stray from the tendencies, relationships, places, and situations they know best. Finally, Confirmation bias helps re-enforce your decision making (even when it’s wrong), serving to confirm your the safe, risk-free decisions you regularly make. All of these biases hold you back from embracing abundance. These are only a few; Wikipedia lists upwards of 100 cognitive biases that affect our tendencies and thinking. So how can you use these biases to your advantage and cultivate a positive, abundant mindset? There are two ways that overshadow all others. Let’s explore. Limiting beliefs fuel a scarcity mindset. Such beliefs were once an advantage for you, but today, with the wave of technological advances and discoveries, they serve as a hindrance. You must always do battle with yourself to think bigger and better. Jack Welsch, the former CEO of General Electric, was fond of a term called “seeing around the corner.” This referred to a person’s ability to see what was coming next in the form of innovation and discovery. Think Steve Jobs with the iPod, Bill Gates with the PC, and Henry Ford with the automobile assembly line. You have the same ability to “see around the corner.” But first you must let go of your limiting beliefs and begin to think on a bigger scale. Where do I see things going? No matter your field of work (or side hustle), everything you have come to know will soon be upgraded, redefined, or destroyed by technology. What new opportunities will this create? Start listening to yourself more. Those crazy thoughts that come to you when you least expect? Use those. They come from your subconscious, beginning as a small, wild idea, but having the potential to end with a brilliant success. Rational thought is a skill that can be developed, but so is creative thought, which is sometimes the enemy of logic. Lean on your gut from time to time. Because you have a natural tendency to cling to the negative, you must do your best to limit the negative influences in your life. Two things stand out – negative people and negative information sources. Negative people, often friends, bring you down. Even if you think otherwise, you cannot overcome your human nature that filters this negative, pessimistic news into the brain, resulting in a despondent, depressed state. Your mood, and more importantly, ambition, will suffer tremendously. However, the biggest culprit for negativity comes from the news and social media. New stories and broadcasts play on people’s subconscious need for drama, violence, and negativity. You’ll see a chilling replication of the 80/20 rule; 80% negative stories (doom and gloom stuff), and 20% positive stories. Newspapers are the same way. Take a look next time and see if you see the trick for yourself. Over-consumption of social media is also detrimental, as the visual bombardment of phony perfection and success serves to beat you down and hammer your self-confidence and sense of self. This is otherwise known as social comparison. You see friends and family posting about how great their lives are. You ask yourself, how come my life isn’t that good? You see Instagram models with perfect bodies and flawless faces. You ask yourself, how come I don’t look like that? These are the natural consequences of a medium where everyone is showing the best of what they have, often over-embellishing, lying, and distorting (hello Photoshop) reality. Good luck convincing your brain though – it’s too old to make sense of such a new age technology. Instead, it associates this visual stimulus with is negativity, negativity, and more negativity. Google “Social media depression” if you want to get into the countless studies that have linked it to thoughts of depression, envy, jealously, shame, and contempt. The main culprits of a scarcity mindset are toxic friendships, pessimistic news, and glorified images via social media. This trio is lethal; imagine going 10 rounds with Mike Tyson. You’re getting punched around over and over again. After a while, you can’t take anymore, and succumb to the blow. The same holds true for these negative influences – eventually they will wear on you to the point that you break from the load. Don’t let negativity hold you back. Get rid of crappy friends. Limit exposure (or cut it out entirely) to news and negative writings (newspapers, blogs, etc.). 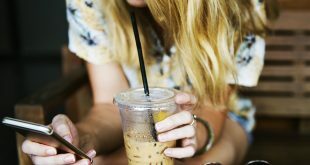 Asking you to get ride of social media might seem aggressive, but it’s the most productive (and aggressive) way to stay in control of your mental frame. Be aware of your cognitive biases. Understanding your weakness to be negative and embrace pessimism, and cut off all sources of incoming friction and unrest. You live in a world of abundance, a world filled with ample opportunities to grow and live a full, encompassing life. But you must take action. You must cultivate a strong, enduring mindset. 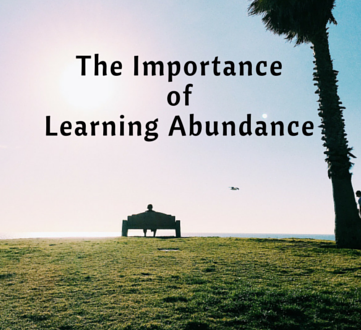 Learning abundance is one of the pillars of a healthy lifestyle. It does not come naturally, and waiting for it will cause angst and disappointment. It’s your job to take control your fate and realize the opinions and doings of others does not have any bearing on your life. To achieve flow and deep thought, you must have a clear mind. This can only be achieved once you block out the distractions, often completely useless and unimportant. The ever-expanding, hyper-connected world has created a false sense of urgency and timeliness. You feel compelled to take in every piece of information, to read everything a certain someone writes, to never miss a Facebook post or tweet. All of this nonsense serves to distract you from what really matters; the pursuit of satisfaction and fulfillment. Learning abundance is only one of the steps, but it’s a must if you want to be the complete package. P.S. If you enjoyed this content, be sure to grab the book Abundance. Do you have a healthy, abundant mindset? Drop a comment below!